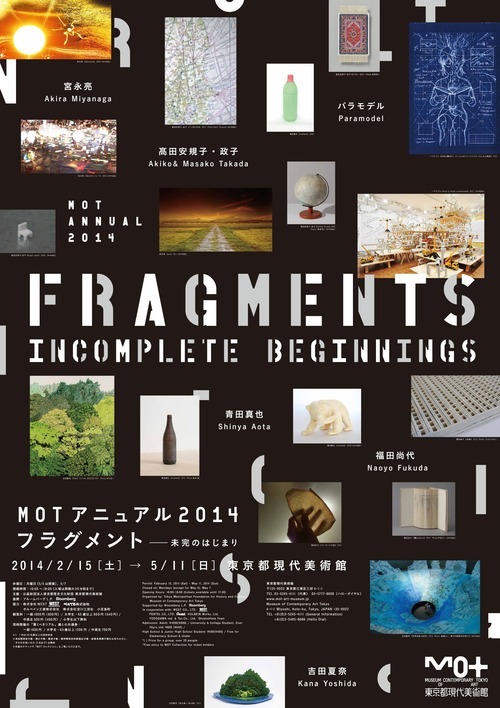 Exhibited my single channel video artwork WAVY, in a group exhibition MOT ANNUAL 2014 FRAGMENTS -INCOMPLETE BEGINNINGS, at Museum of Contemporary Art Tokyo. Closed on: Mondays (except for March 5), March 7(Wed). – From Kiyosumi-Shirakawa Station on the Hanzomon Line: 9min. walk from the B2 exit. – From Kiyosumi-Shirakawa Station on the Toei Oedo Line: 13min. walk from the A3 exit. Hiya, I am really glad I’ve found this information. Nowadays bloggers publish only about gossips and net and this is really annoying. A good site with interesting content, this is what I need. Thank you for keeping this web site, I will be visiting it. Do you do newsletters? Can’t find it. I really wanted to type a simple comment so as to express gratitude to you for some of the superb tricks you are posting at this website. My incredibly long internet look up has now been honored with reputable concept to talk about with my partners. I would declare that we site visitors are very much fortunate to live in a notable place with many wonderful people with interesting hints. I feel really privileged to have come across your entire web page and look forward to many more pleasurable minutes reading here. Thanks a lot once again for everything. It’s best to participate in a contest for top-of-the-line blogs on the web. I will recommend this site! Thanks a lot for providing individuals with remarkably spectacular possiblity to discover important secrets from this web site. It is always very great and stuffed with a good time for me personally and my office peers to visit your web site on the least thrice per week to find out the latest guidance you have got. And of course, I am always motivated concerning the mind-boggling inspiring ideas you serve. Selected 1 tips in this posting are rather the most efficient we have all ever had. Can I just say what a reduction to search out somebody who truly is aware of what theyre talking about on the internet. You undoubtedly know find out how to carry a problem to mild and make it important. Extra folks need to learn this and perceive this facet of the story. I cant consider youre not more widespread because you definitely have the gift. After study a few of the weblog posts in your website now, and I truly like your means of blogging. I bookmarked it to my bookmark website listing and will probably be checking back soon. Pls try my web site as nicely and let me know what you think. I want to get across my passion for your kind-heartedness supporting women who really need help with in this area. Your personal commitment to getting the message around ended up being pretty interesting and have constantly permitted those much like me to arrive at their aims. Your amazing informative tutorial denotes a lot to me and extremely more to my fellow workers. With thanks; from each one of us. This is the proper blog for anyone who needs to search out out about this topic. You realize a lot its nearly onerous to argue with you (not that I truly would need匟aHa). You undoubtedly put a brand new spin on a topic thats been written about for years. Nice stuff, simply great! personally recommend to my friends. I am confident they will be benefited from this site. Thank you for all of the efforts on this web site. Betty really loves conducting internet research and it is simple to grasp why. Almost all know all concerning the dynamic means you create practical solutions through your blog and improve response from other people on that article so our child is without a doubt understanding a whole lot. Take pleasure in the remaining portion of the year. You’re the one carrying out a useful job. Thank you so much for providing individuals with remarkably remarkable possiblity to read articles and blog posts from this web site. It can be very kind and as well , full of fun for me personally and my office peers to search the blog at the least 3 times weekly to read the newest guides you have. And of course, we’re usually motivated with the great knowledge you give. Some two points in this posting are essentially the most suitable I have had. Can I simply say what a aid to search out someone who truly knows what theyre speaking about on the internet. You definitely know find out how to deliver a difficulty to gentle and make it important. Extra individuals need to learn this and perceive this facet of the story. I cant imagine youre not more popular since you undoubtedly have the gift. You made some respectable points there. I appeared on the internet for the difficulty and located most people will go along with with your website. I simply wanted to say thanks all over again. I am not sure what I would’ve handled without the actual information provided by you regarding such a field. It became a daunting concern in my opinion, but taking note of a new skilled manner you solved it made me to jump for contentment. I am just grateful for the guidance and hope that you find out what an amazing job you are putting in educating other individuals thru a web site. Most probably you have never met all of us. I really wanted to type a quick word in order to thank you for these superb points you are sharing here. My incredibly long internet investigation has finally been compensated with wonderful suggestions to write about with my family. I would believe that most of us visitors are rather blessed to exist in a very good network with many marvellous individuals with good pointers. I feel very much blessed to have seen the website and look forward to really more exciting moments reading here. Thanks once again for all the details. 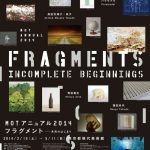 This website is mostly a walk-via for all the info you wanted about this and didn抰 know who to ask. Glimpse right here, and you抣l definitely discover it. I wish to point out my affection for your generosity giving support to individuals who require guidance on your field. Your special dedication to passing the message all around appeared to be amazingly good and has regularly made employees like me to attain their pursuits. The warm and helpful hints and tips means much a person like me and far more to my office workers. Thanks a ton; from each one of us. An impressive share, I simply given this onto a colleague who was doing just a little analysis on this. And he actually bought me breakfast as a result of I found it for him.. smile. So let me reword that: Thnx for the deal with! However yeah Thnkx for spending the time to debate this, I really feel strongly about it and love reading extra on this topic. If doable, as you become experience, would you thoughts updating your weblog with extra particulars? It’s extremely helpful for me. Huge thumb up for this blog put up! A lot of thanks for each of your labor on this website. Kate really likes working on investigation and it is easy to understand why. Almost all notice all about the lively method you produce very useful suggestions by means of this web site and as well as strongly encourage participation from others on the area then my girl has always been discovering a great deal. Have fun with the remaining portion of the new year. You’re the one performing a fantastic job. I enjoy you because of each of your hard work on this website. My daughter loves participating in investigations and it’s really simple to grasp why. We all hear all relating to the dynamic means you render very helpful tips on the blog and as well as foster response from people on this idea then our own simple princess is really being taught a whole lot. Have fun with the rest of the year. You’re the one carrying out a superb job. I actually wanted to compose a small word to express gratitude to you for all of the awesome steps you are posting at this site. My particularly long internet investigation has at the end of the day been recognized with excellent strategies to go over with my family. I would believe that most of us readers are undoubtedly endowed to exist in a superb community with very many brilliant professionals with helpful guidelines. I feel very much lucky to have discovered your web site and look forward to tons of more fabulous minutes reading here. Thanks a lot once more for all the details. I just wanted to make a brief comment to be able to thank you for some of the superb points you are giving out on this site. My extended internet lookup has finally been honored with incredibly good facts to talk about with my relatives. I would admit that we site visitors are undeniably lucky to be in a useful place with so many wonderful individuals with very beneficial techniques. I feel rather happy to have seen your website page and look forward to plenty of more entertaining times reading here. Thanks a lot again for a lot of things. You have observed very interesting points ! ps decent website. There as always one who loves and one who lets himself be loved. by W. Somerset Maugham. Hi, yeah this article is truly pleasant and I have learned lot of things from it concerning blogging. tweeting this to my followers! Excellent blog and terrific design and style. I cannot thank you enough for the blog post.Really looking forward to read more. Great. drive the message home a bit, but instead of that, this is great blog. Im obliged for the article.Really looking forward to read more. Really Great. I cannot thank you enough for the blog article.Thanks Again. Keep writing. Marvelous, what a weblog it is! This website provides helpful facts to us, keep it up. I blog frequently and I genuinely thank you for your information. The article has really peaked my interest. Great post.Thanks Again. Want more. Sohan is also being accused of leaving the jurisdiction in December very last year with out permission. Really enjoyed this article post.Thanks Again. Hey, thanks for the blog post.Much thanks again. Really Great. Looking forward to reading more. Great blog article. Awesome article.Really thank you! Want more. I cannot thank you enough for the blog. Split your list of things to do into four parts. This allows you to label your vertical columns in order of importance. Identify the horizontal rows in order from urgent to not urgent. Spend only a small percentage of your time on the least urgent and least important tasks. Instead, shift your priorities to the important and urgent areas. The Drama Pyaar Lafzon Mein Kahan Leave time for the items which aren’t as urgent to ensure they get done, too.